Hi Windy City Bloggers! Happy Friday! I hope you’re all enjoying this beautiful day. I know I am but not in Chicago. I’m mid-trip on the East coast with my latest stop in Washington D.C. and it’s a gorgeous 60 degrees today, the perfect weather to kick off the weekend. My name is Christine and I blog over at Lattes, Life & Luggage, a lifestyle blog focused on food and travel. Today, I have a few blog posts from fellow Chicago bloggers on everything from sweaters you’re going to love to ab workouts that you can do anywhere. Check them out! Going on my second week of traveling and this one without gym access, it’s always great to have go-to workouts for on-the-go. Lauren shared three ab workouts that will keep your core in shape so that when you get back from traveling or a business trip or visiting family, you haven’t taken a step back in your fitness routine. Who doesn’t love sweater season? It’s the best time of year. 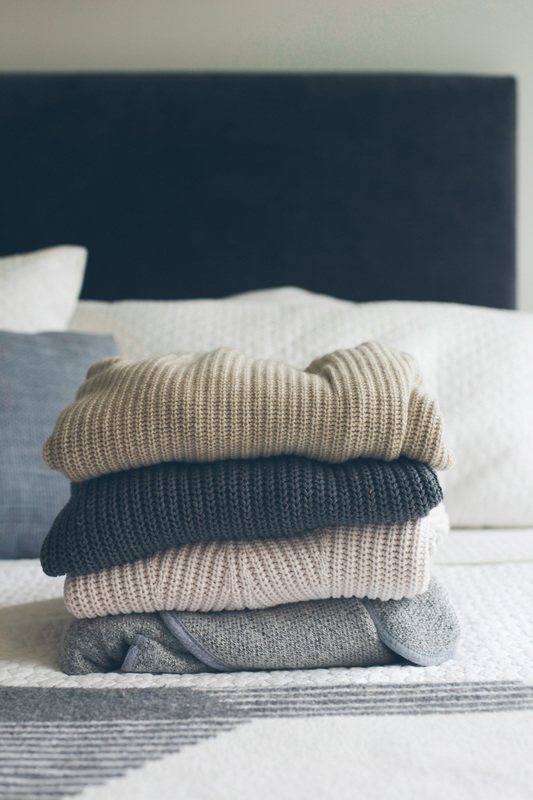 Lows to Luxe shared sweaters that I’m practically drooling over. You can never have too many and I won’t judge if you have the same one in every single color. I personally love the one with the shoulder cut-outs. What’s your favorite? Forget original mashed potatoes this holiday season and replace them with Chrissy’s flavor-bursting smashed number. Not only do they have a pop of nutrition with the spinach, they also are nice and cheesy and who doesn’t love that. I always love Dannie’s style. This particular outfit is calling my name, especially those booties. If there’s one thing I love more than sweaters, it’s booties and these add a little extra punch of color to balance out an otherwise neutral wardrobe (at least my wardrobe is heavily neutral in color). Girls from across the country packed their bags and headed to Nicaragua for the Aqua Wellness Retreat which looks, in a word, incredible. Its seems like a great opportunity to disconnect and get back to you with yoga, beautiful surroundings and others who have similar lifestyles and just need a chance to recharge. Unplugging is something I really have been wanting to do lately so Kaleigh’s photos and reading about her experience has me thinking about making my next trip a retreat. I hope you guys enjoy the five favorite posts of the week I shared with you today! Make sure to follow me on Instagram, especially as I finish out my two-week trip as well as Facebook and Twitter. See you back in Chicago soon!